If a New Year also means looking for San Antonio custom homebuilders to build your dream home, then you are in luck! Weston Dean Custom Homes is not only the premier custom homebuilder in San Antonio, but we are also known for building in the most premier and desired locations in the San Antonio area. We know that when you are building your dream home, the location of your new home is equally as important as the home itself, which is why we build custom homes in the best communities offered in the San Antonio area. 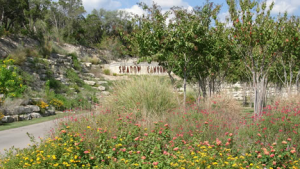 This week, we are highlighting the stunning Shadow Canyon community, located in Helotes. This beautiful new home community allows you to experience all the Texas Hill Country has to offer. This amazing community offers premium amenities nestled in a spectacular scenic surrounding. Weston Dean Custom Homes is proud to be a recognized builder in Shadow Canyon. Those who visit the community rave about the dramatic terrain and panoramic views of the adjacent Government Canyon State Natural Area. Shadow Canyon is just minutes from north San Antonio and offers the best resources from premium amenities to the top-rated Northside ISD School District, with children attending Helotes Elementary, Jefferson Middle School, and O’Conner High School. The home sites offered in Shadow Canyon range from 1 to 3 acres in size, have panoramic views and overlook the Government Canyon State Natural Area as mentioned above. Shadow Canyon is worth the visit and should definitely be on your list to look at as you consider a location for your new home. It is sure to not disappoint!